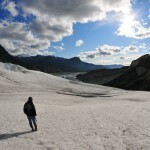 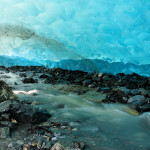 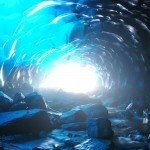 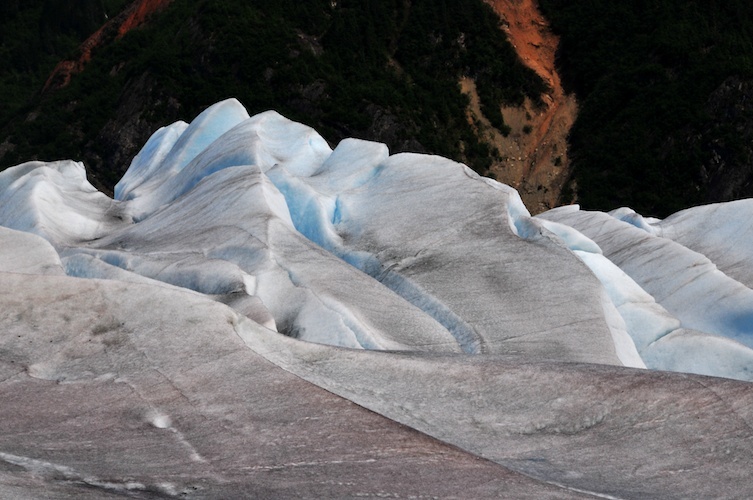 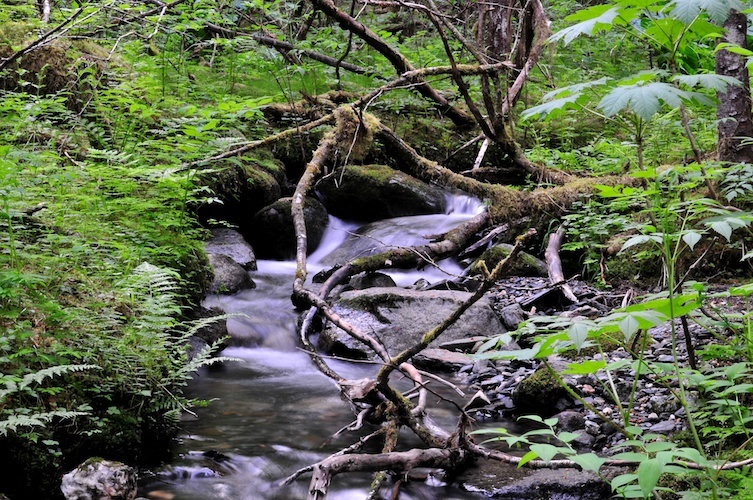 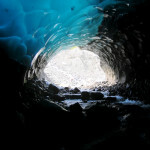 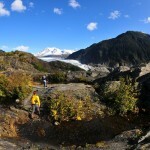 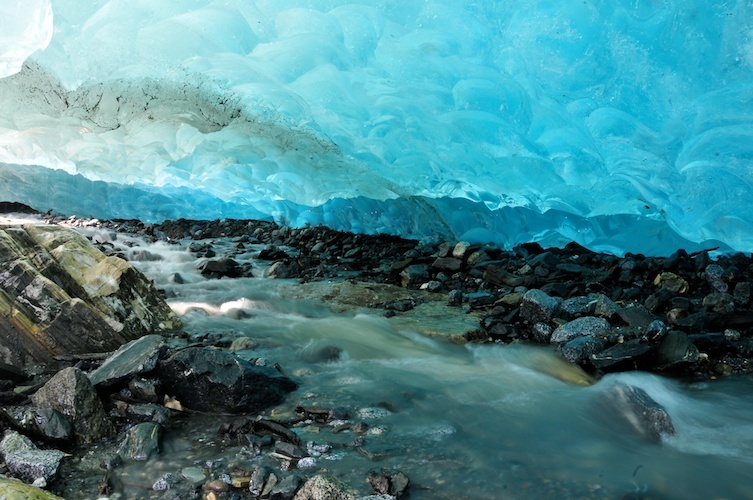 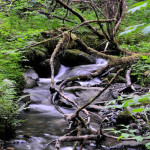 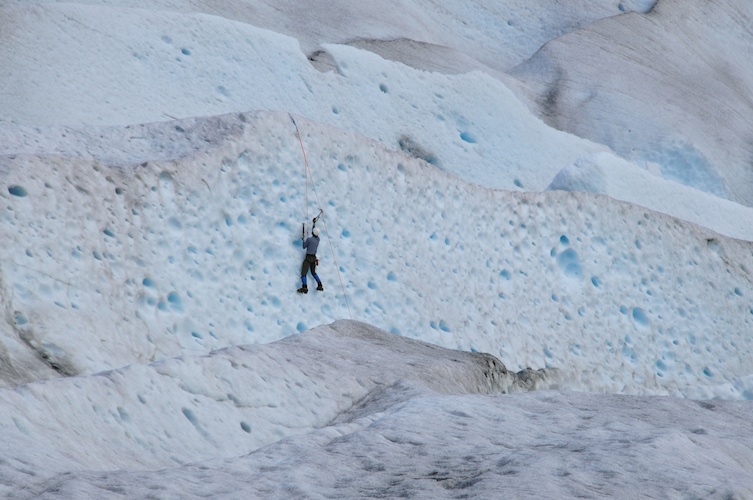 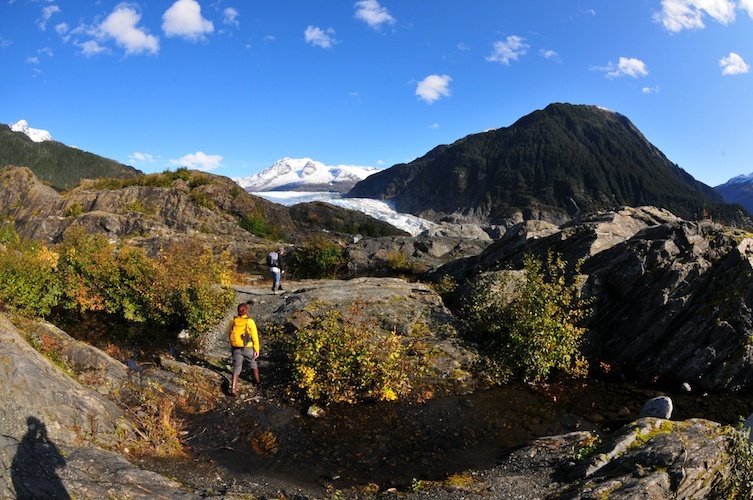 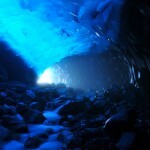 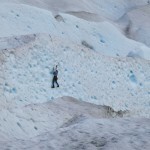 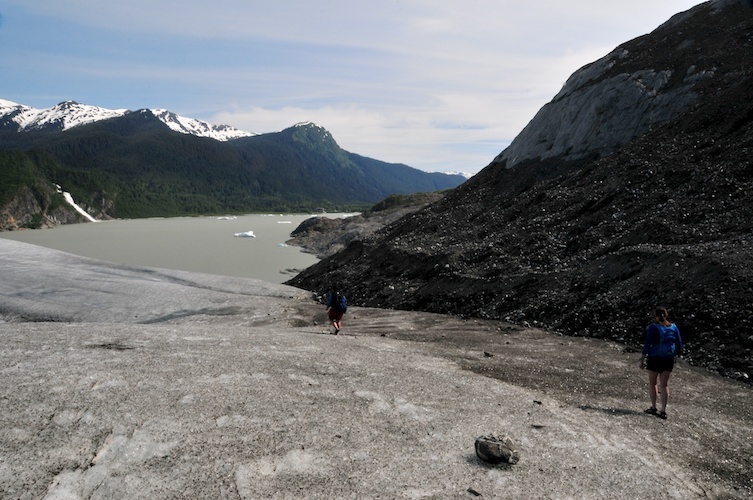 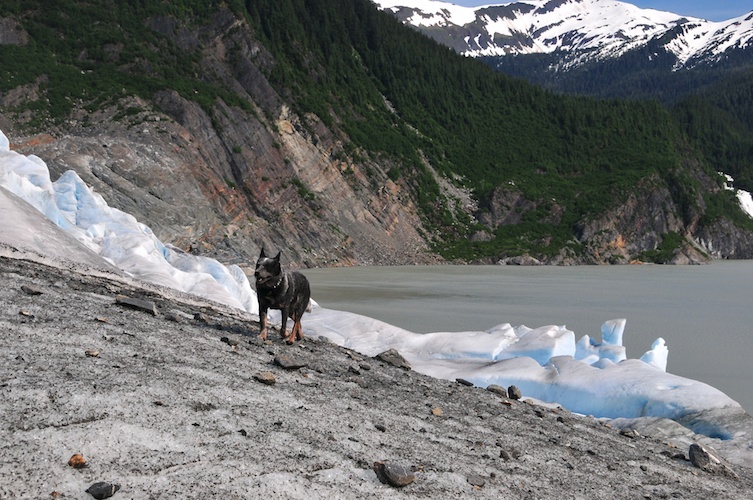 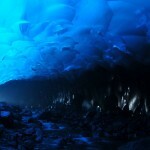 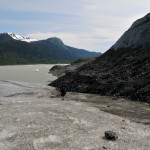 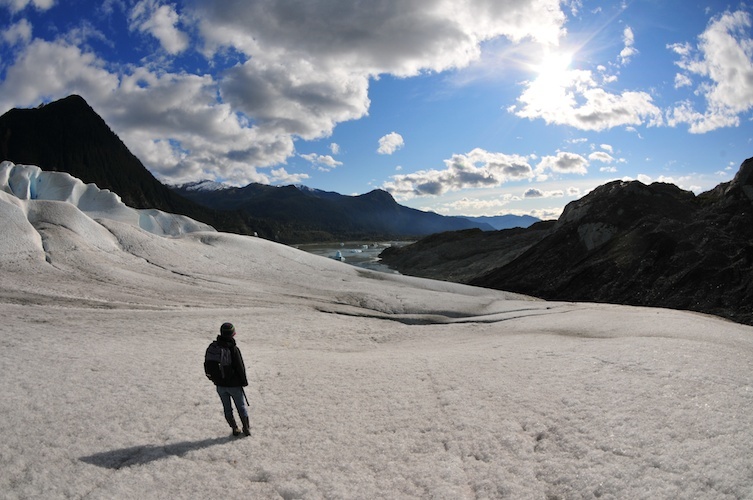 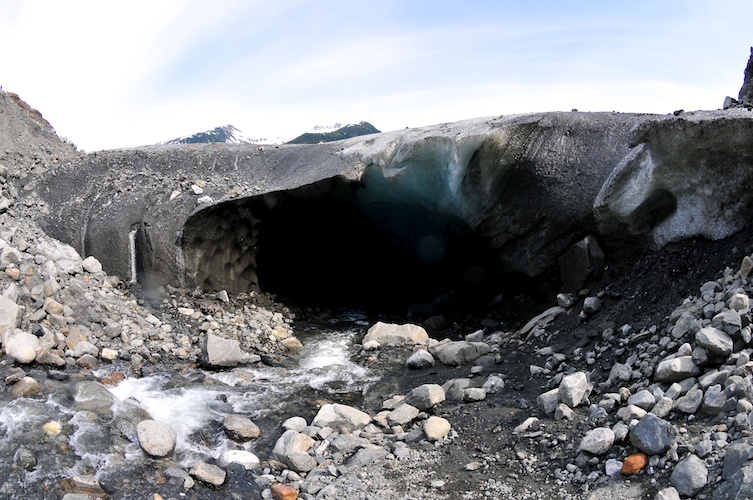 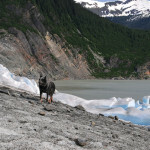 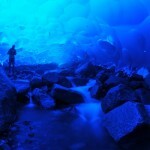 This was my third hike to the glacier cave at Mendenhall Glacier that has been the “go to” cave for the past few years. 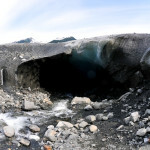 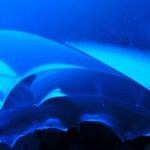 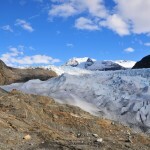 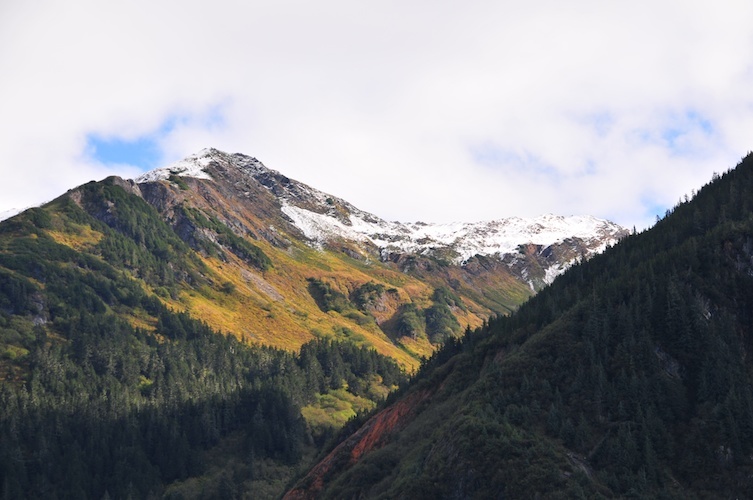 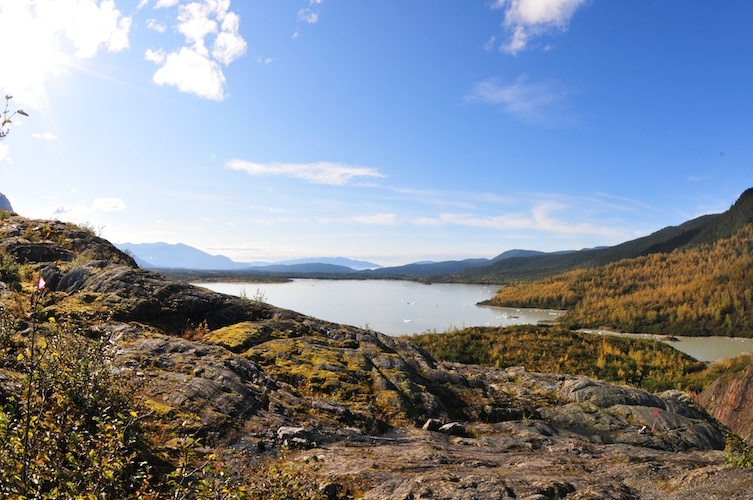 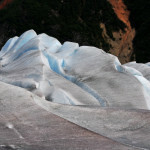 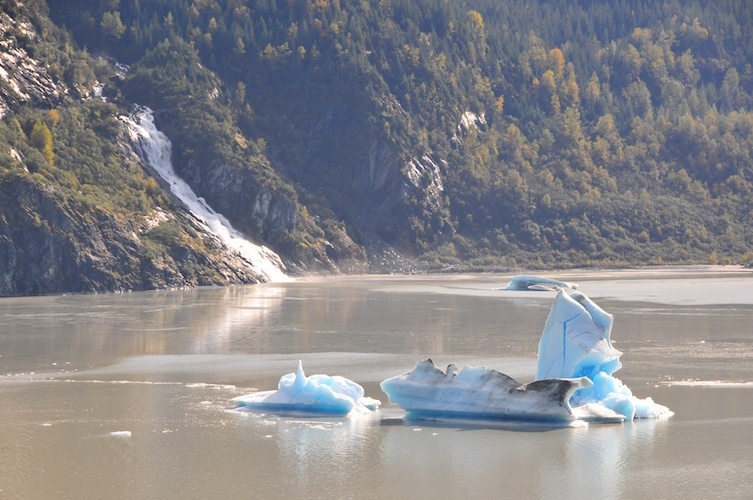 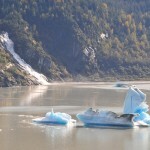 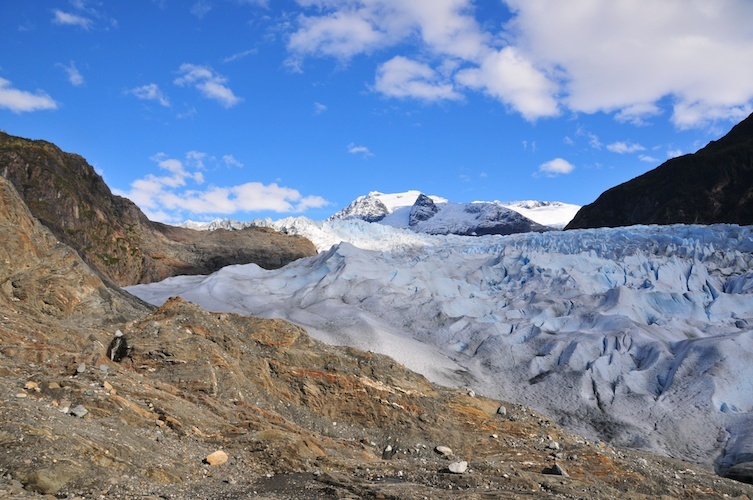 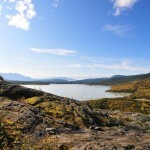 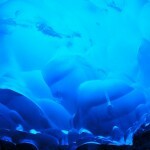 I went in July 2011 and October 2011 – for moving at glacial speeds, it’s amazing how much has changed in between visits! 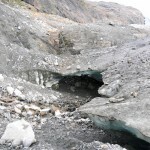 Much more of the face has calved off and melted over these two short years and the entrance to the cave itself has receded at least 100 feet. 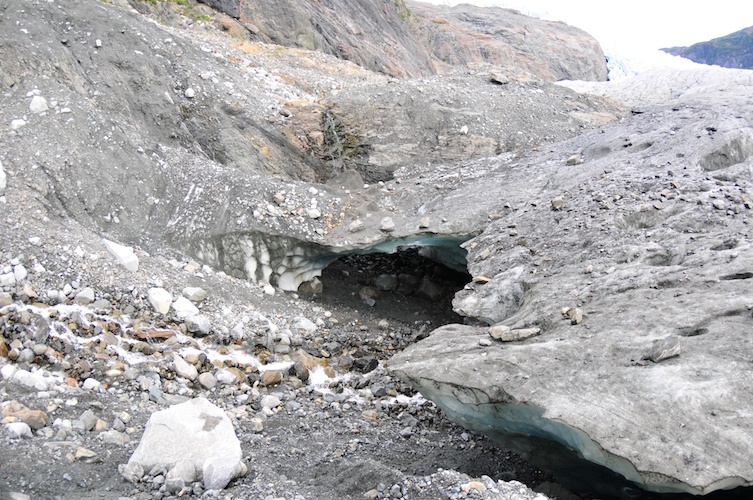 It actually looks a bit more stable now, as the previous ice outcropping that was at the entrance before was relatively thin looking. 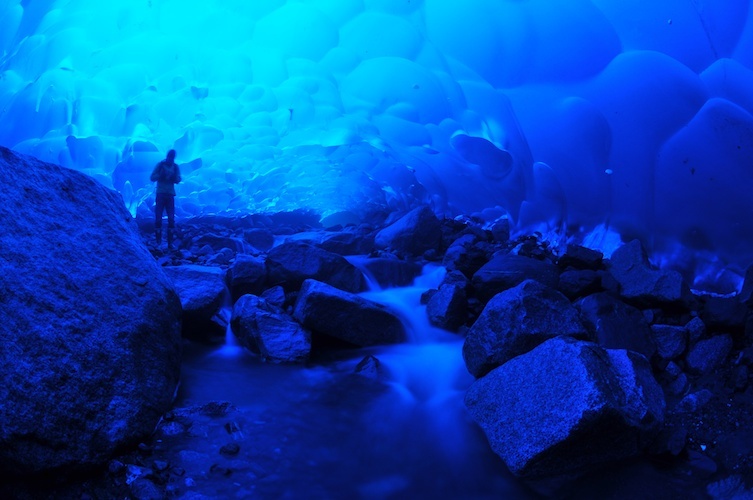 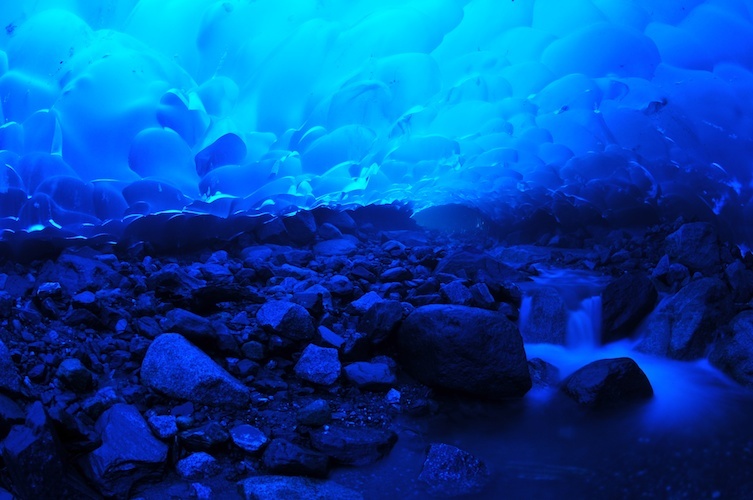 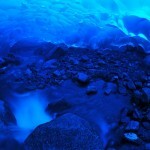 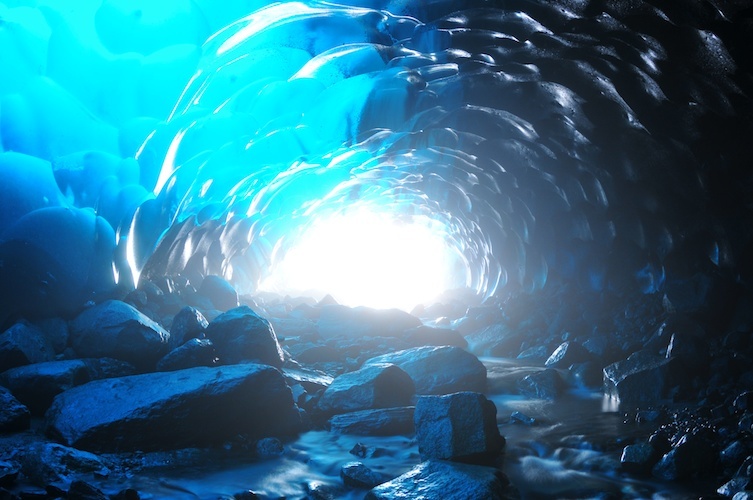 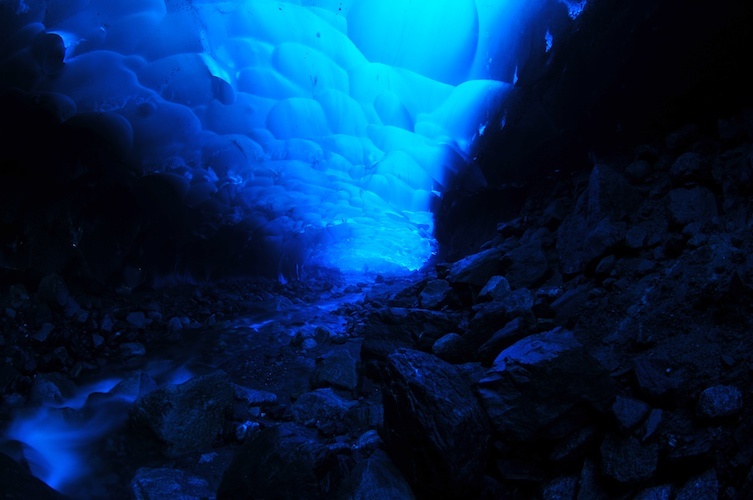 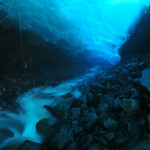 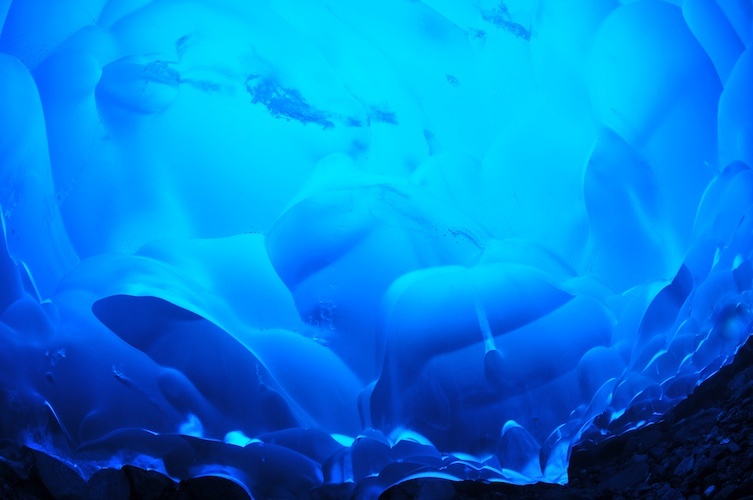 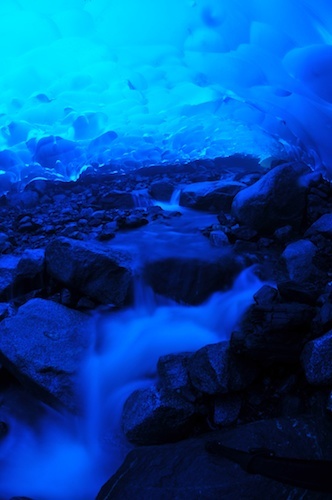 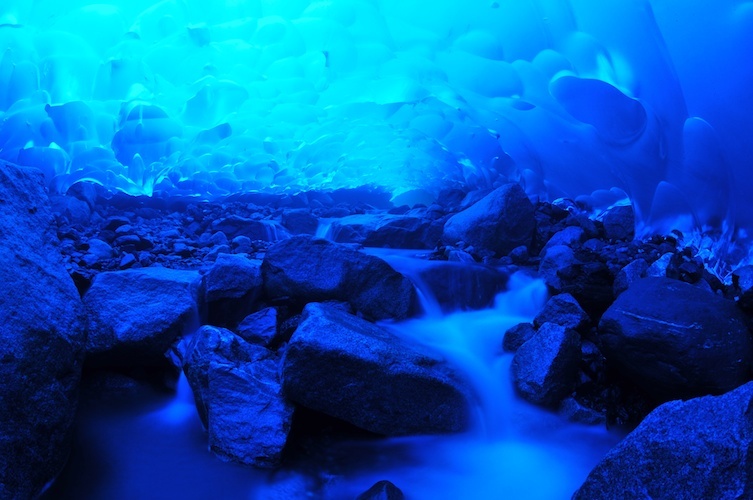 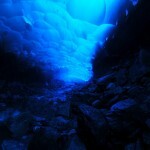 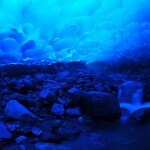 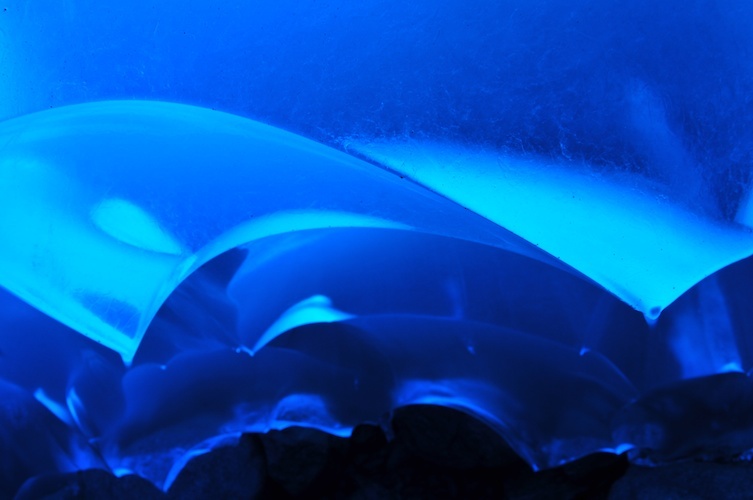 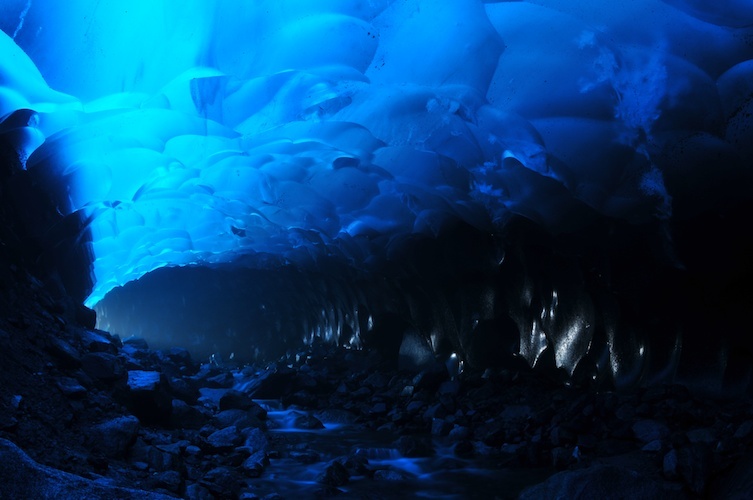 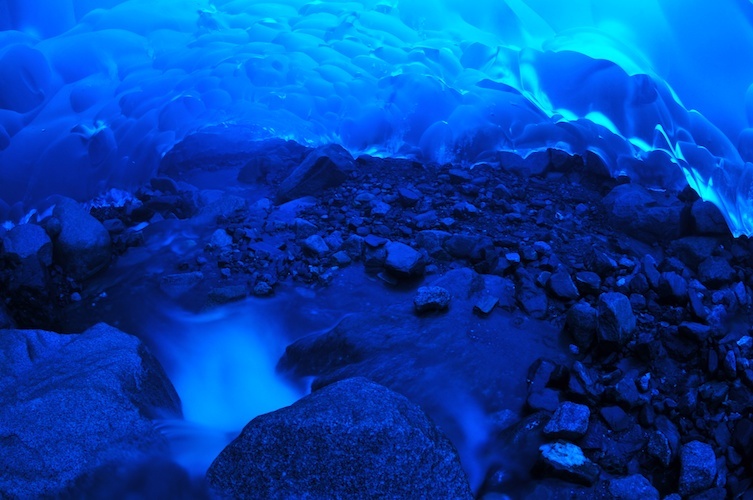 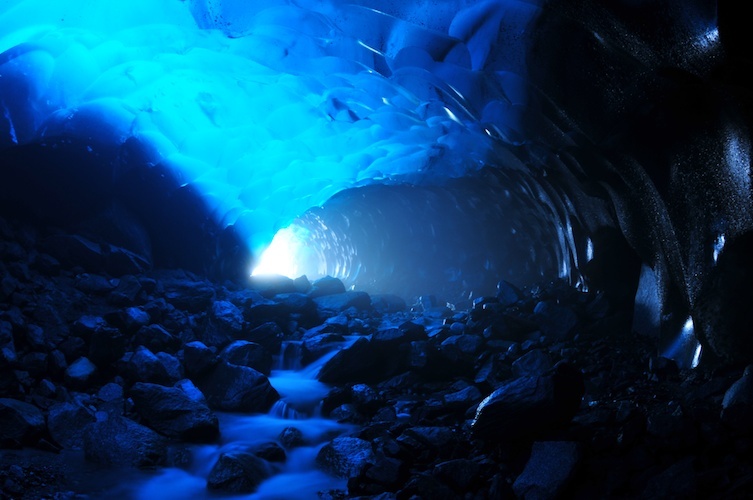 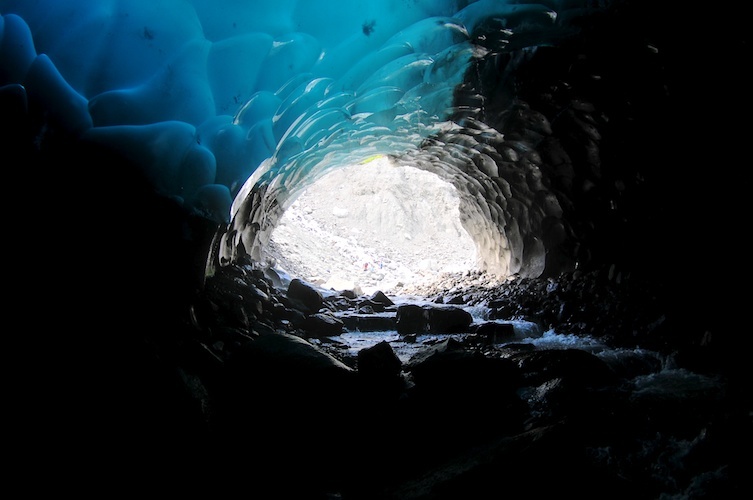 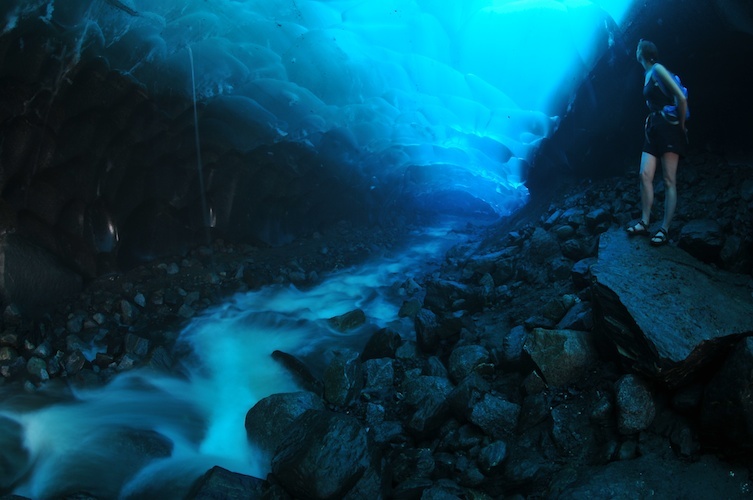 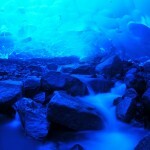 Inside the cave is just as amazing – the bluest of blues and the sound of water rushing under the glacier. 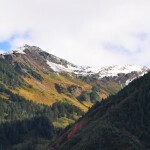 If you go, be safe and bring rain gear!